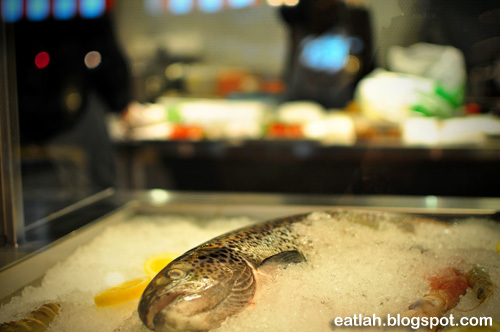 Market Hall @ Pavilion, KL | where and what to eat lah? 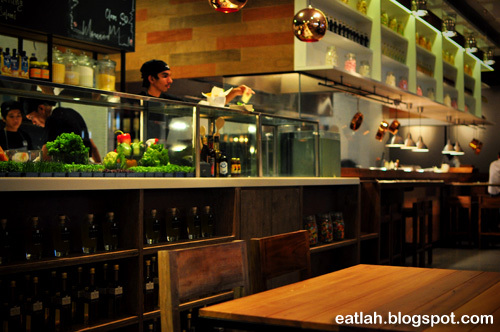 Market Hall is a fairly new restaurant opened on the Feb 13, 2011 and located at Level 6 in Pavilion, Kuala Lumpur. 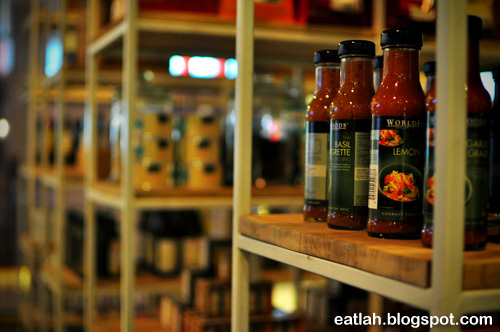 Situated by the corner together with the likes of Din Tai Fung, Wong Kok Char Chan Teng and TGI Fridays's. 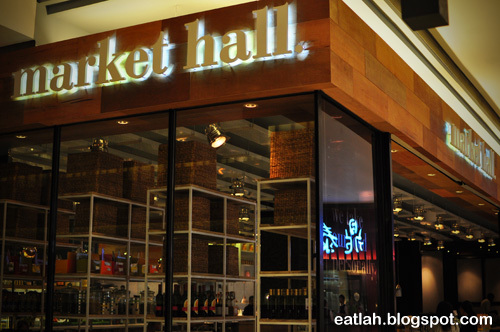 The Market Hall with its sister bar, Bedroom which is just next door are apparently from the same successful brainchild behind TGI Fridays's, Italiannies, The Apartment, Laundry, Malones, Teh Tarik Place and The Republic Bar. Inspired based on a market hall concept with shelves stacked with imported condiments, an open kitchen area and surrounded by wooden butcher-block prep lookalike tables. This open designed floor plan exhibits a cozy and homely atmosphere that makes you feel comfortable right away. Freshness is the primary aspect here, from incorporating fresh locally farmed daily ingredients to freshly handmade pasta dough. 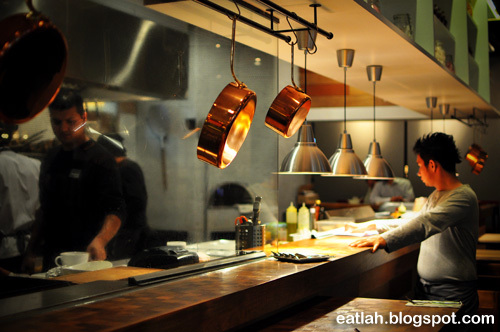 With the open kitchen area, it allows you to experience a true culinary adventure by watching the chefs preparing every single dish, listens to the sounds of the kitchen and smells the aromas that take you on a journey. 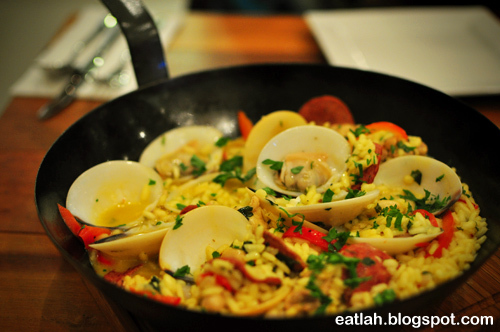 Their menu is quite comprehensive and even if you don't feel like having anything from the menu, you will still be able to customize your food according to your tastes and the available ingredients. Complimentary breadsticks with salsa for start. 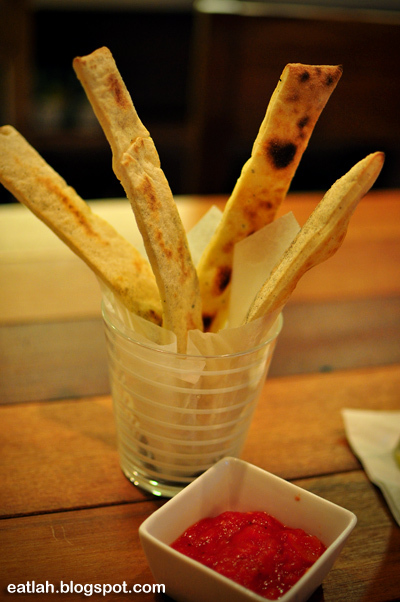 It was light, fluffy, crispy thin crusted yet soft inside and made fresh from their pizza dough. Something different from the usual bread baskets with butter or olive oil and a nice way to kick-start our tummies. 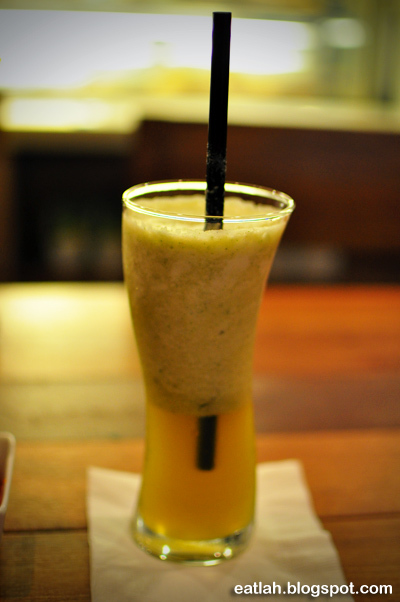 For drink, we had the Meditation (RM 12.50) detox juice concoctions made from pineapple, maple syrup, mint leaves, fresh ginger and spring water - rejuvenating indeed! 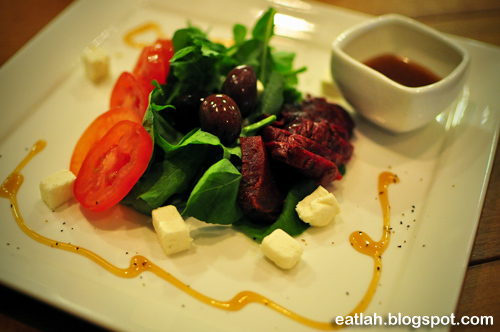 Ruby salad (RM 16.90), beetroot salad with goat cheese, olives and watercress. This refreshingly different yet tasty salad presented an amazing combination of flavors - sweetness from the dressing, saltiness from goat cheese and olives and earthiness from the beetroot and watercress. 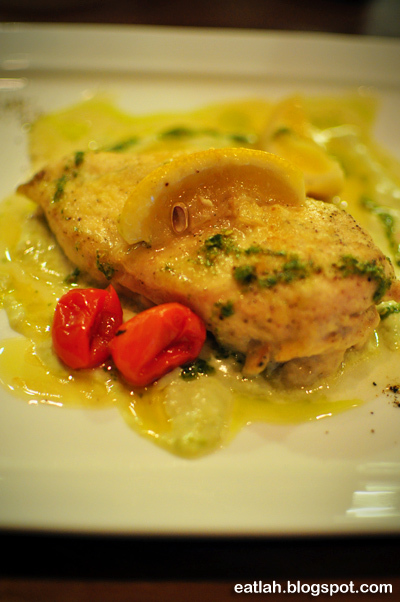 Chicken roulade (RM 28.90), ginger and chili béchamel stuffed tender chicken breast on garden greens and spring onion pesto. The tender chicken breast mingled nicely with the intense flavors of the aromatic ginger, lemon and pesto; making this a truly wonderful dish! 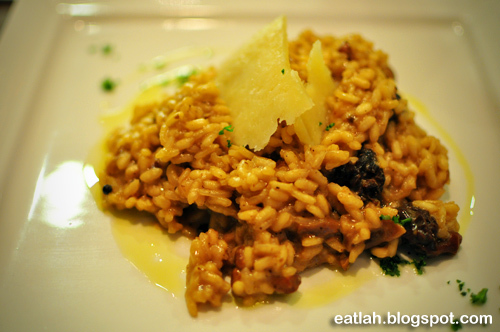 Winter risotto (RM 28.90), slow roasted assorted mushrooms risotto with truffle oil and fresh herbs. It was silky smooth, rustic and warmly satisfying. 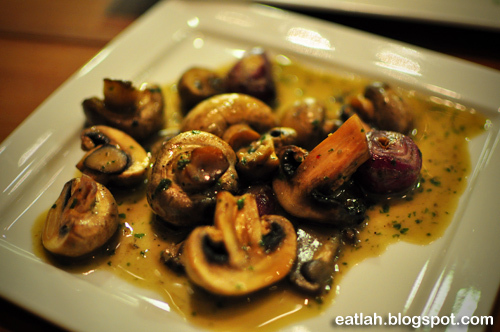 For side dish, we had the sauteed wild mushrooms with onion (RM 6.90). 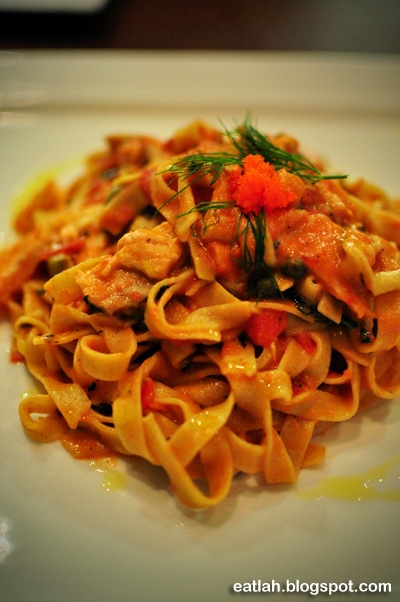 Tagliatelle pasta with fresh salmon tossed in vodka, citrus zest and mascarpone cream sauce (RM 32.90). Some says that fresh pasta is like placing a silk scarf across your tongue in texture while offering a rich, flavorful, and savory vessel for sauces, oils and ingredients to rest upon. 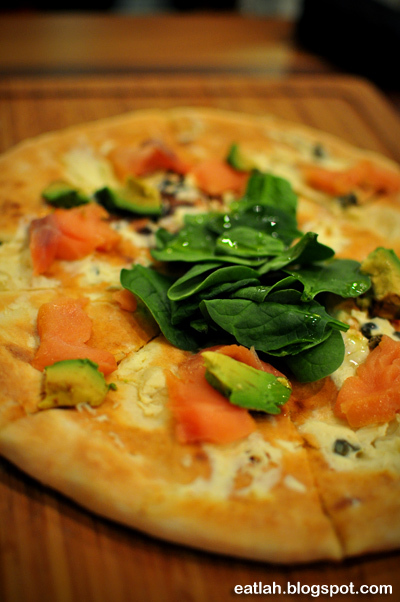 Signature pizza (RM 34.90) made from wood fire oven with no tomato, no mozzarella cheese...but with smoked salmon, avocado, cream cheese, capers, fresh dill and baby spinach. It was nice and the crust tasted very much like the breadstick. It was a tad too much for two person and we felt a little dry after few slices. 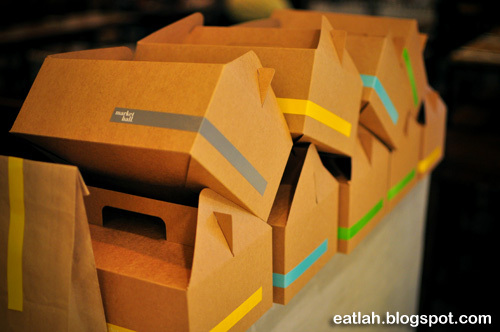 Otherwise, it'll be great for sharing. 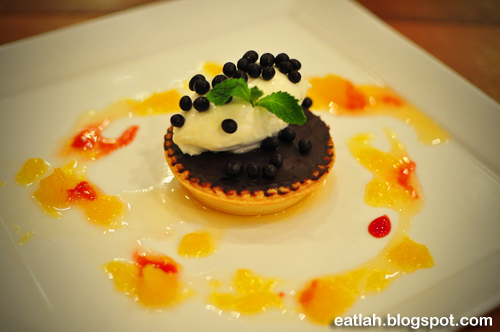 For dessert, chocolate and mascarpone tart with orange salad and Grand Marnier syrup (RM 12.90). Well, despite looking rather splendid and colorful, the tart was quite hard, really hard. We were there twice in separate occasions and the restaurant seems to be doing quite well with a decent crowd most of the time. The only downside was... we felt very thirsty hours after we got home each time. Not sure why, hope it has nothing to do with the MSG. Verdict: Relaxed atmosphere to sit for hours and coupled with variety of wonderful food, unique taste pairings, presentation and execution of the food which makes it truly different from the rest. aiyo, dying of hunger now, cannot take it. Hi! 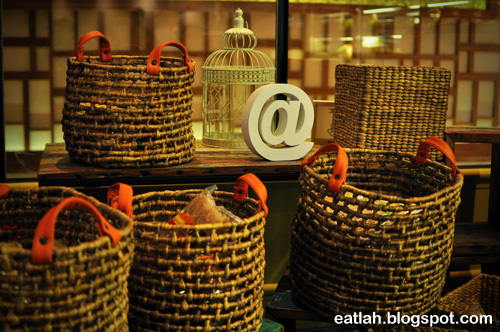 I help manage Market Hall's Facebook Page - it would be awesome if we could post your pictures on our FB Page! Of course, we'll credit you accordingly. Let me know if that's okay with you! this is one of the restaurant I am aming to go . .
Not a bad place but the last meal was let down. Whats up! I just would like to give a huge thumbs up for the good info you have got here on this post. Howdy! I simply wish to give an enormous thumbs up for the nice information you might have right here on this post.